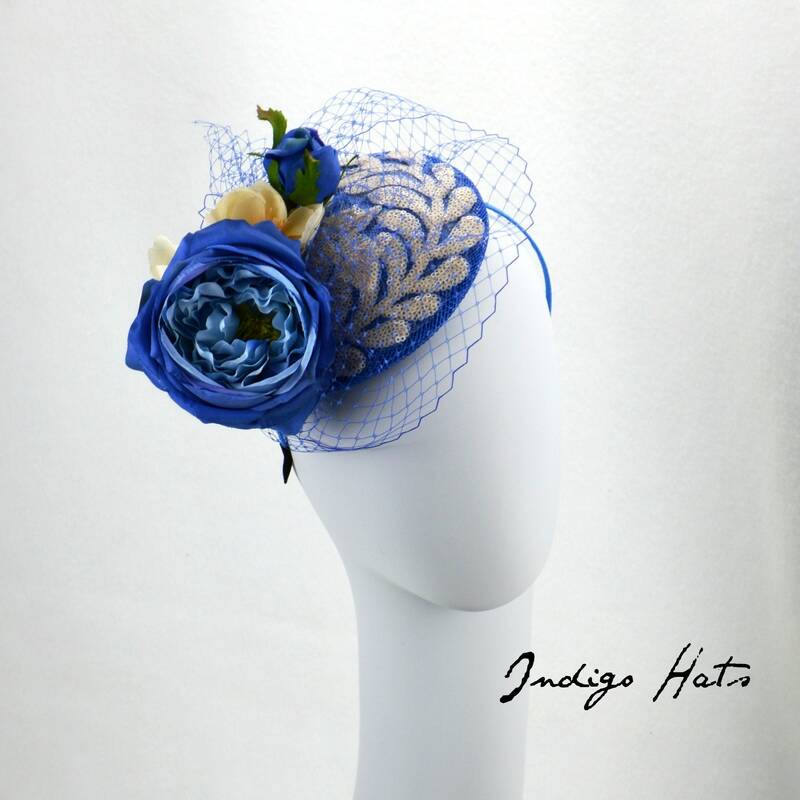 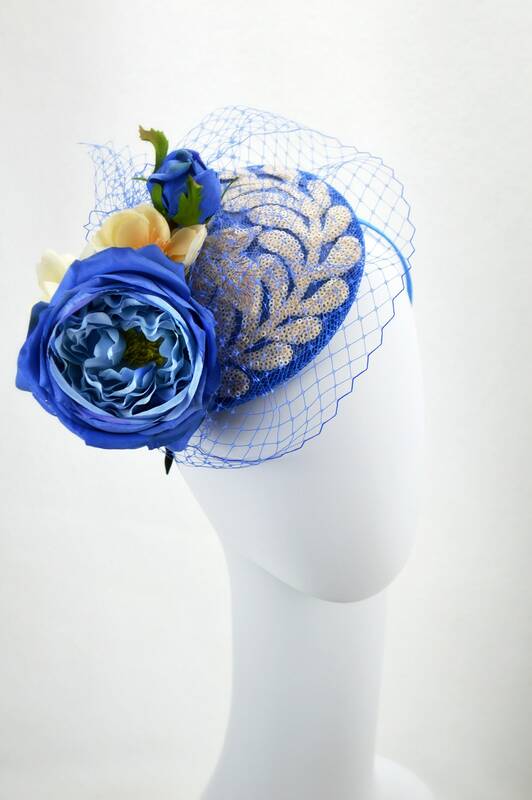 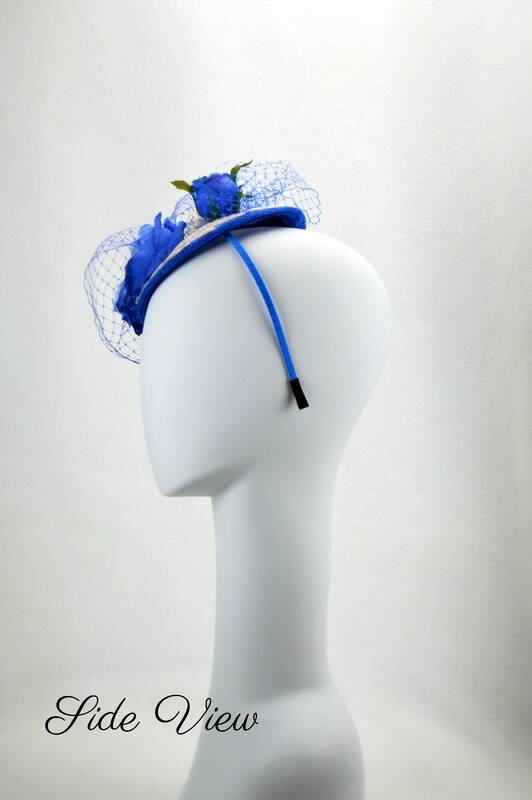 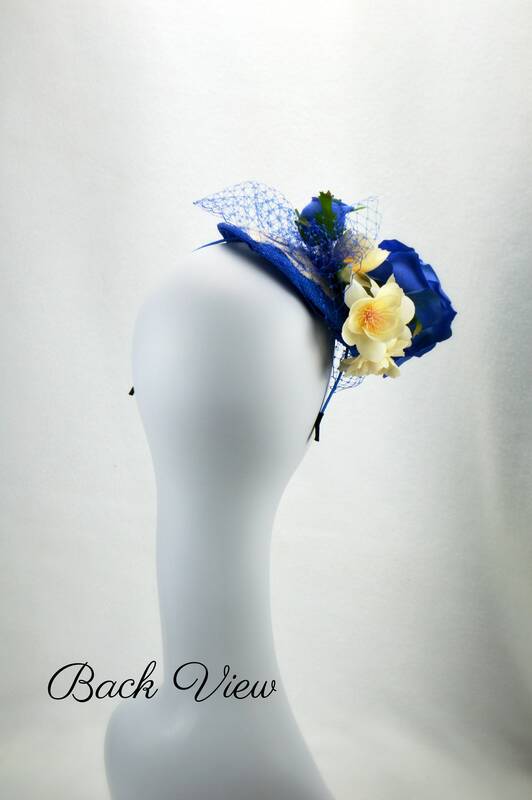 Beautiful blue fascinator, it has a cream appliqued embroidery with subtle sequins in an acanthus design around the handmade 6" sinamay base. 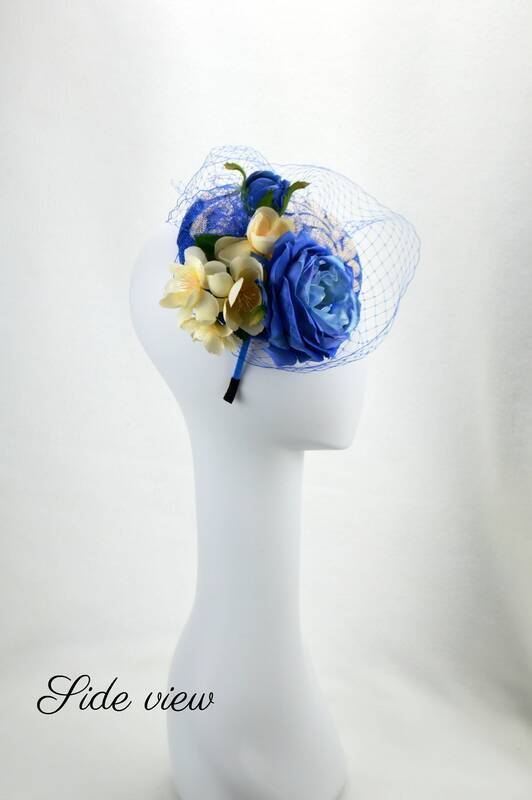 Along with a full bloom English rose and rosebud are dainty creamy flowers. 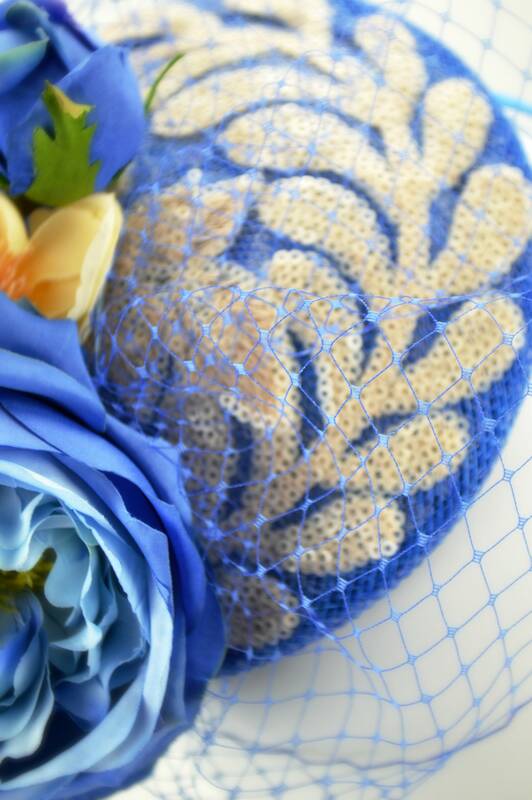 I think the blue veiling adds a cool vintage touch too. 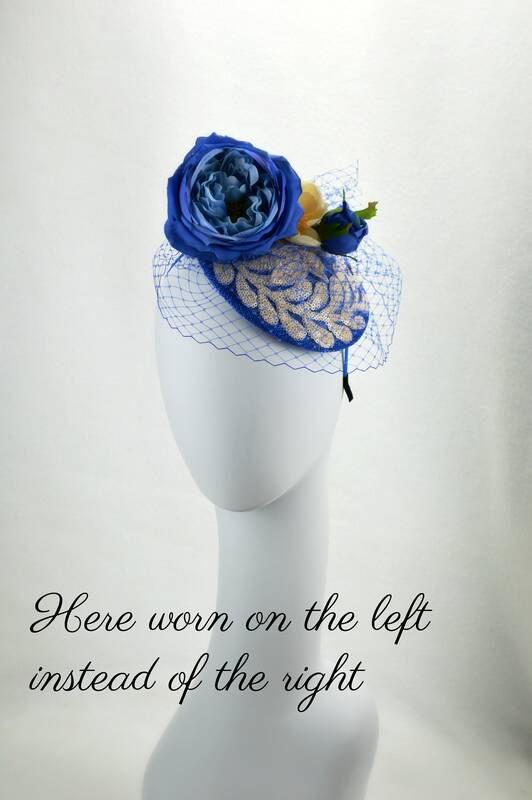 - message me, I am here to help you find the perfect hat!